My hubby and I are celebrating our six year wedding anniversary this week. 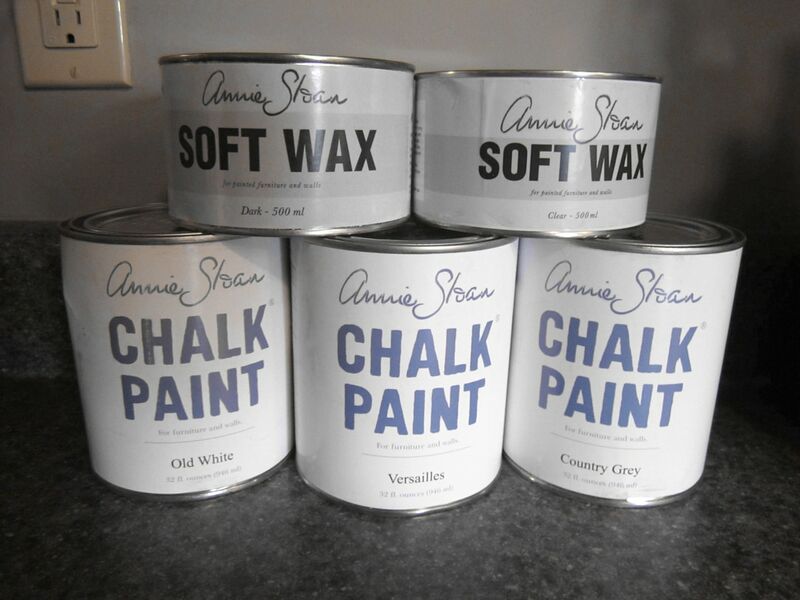 While most ladies ask for jewelry, candy or flowers, I asked for Annie Sloan’s Chalk Paint. Yeah, I know… my painting obsession is kinda getting out of hand. It arrived in the mail this week from Di Lucca Design and I couldn’t be more excited to get started on my first project: a driftwood inspired end table. Last week I found this little magazine table at my local St. Vincent de Paul for only $5 that I thought would be perfect for my idea. Now the super awesome thing with Annie Sloan’s Chalk Paint is that you don’t have to do any sanding or priming to your surface. 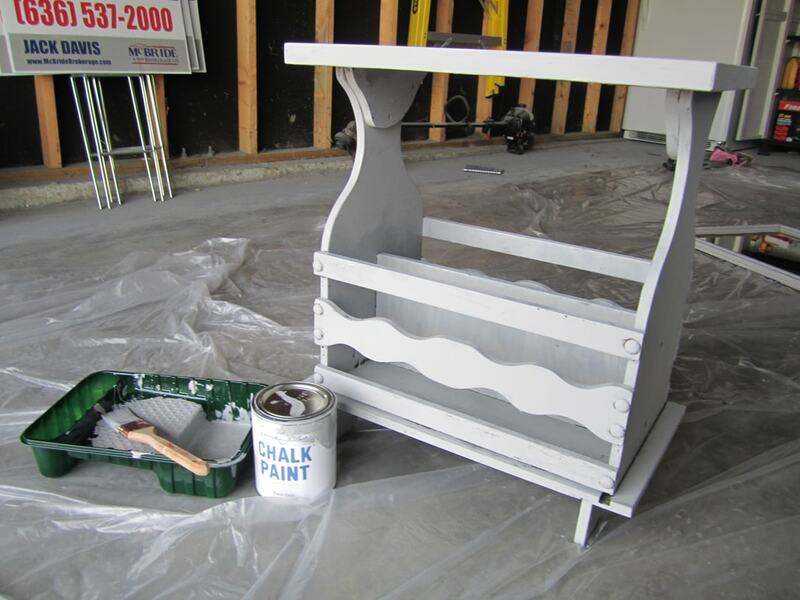 I decided to start by painting the entire table with Paris Grey with my Purdy paintbrush. 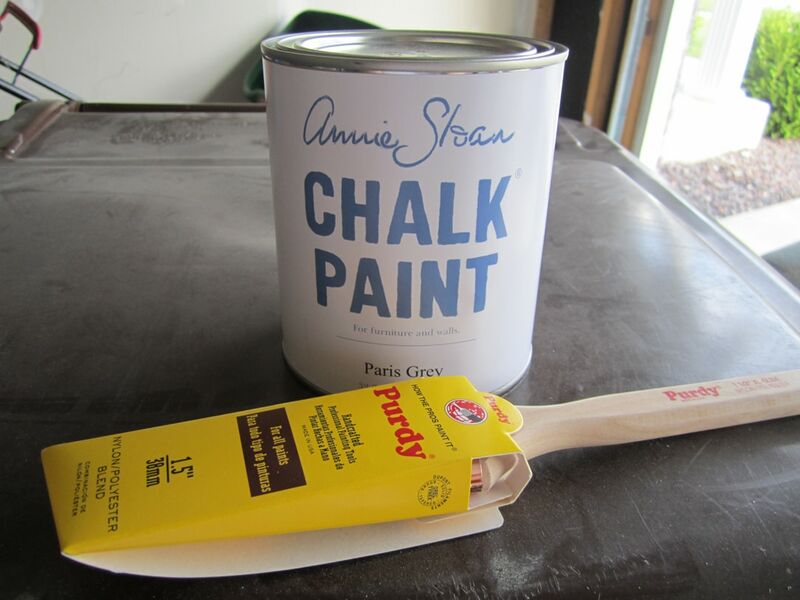 A few facts about Annie Sloan’s chalk paint: The paint actually dries quite quickly. You might see some brush strokes while applying, but it dries smooth (unless you over brush). The finished result is a milky surface, kind of like chalk (get it?). You can leave the surface as is with just the paint, or you can use a clear wax on top to bring out a bit of a shine, or a dark wax mostly used for an aged look. After painting the entire surface in Paris Grey, I decided to paint just the top of the table in Country Grey for a slight duotone effect. 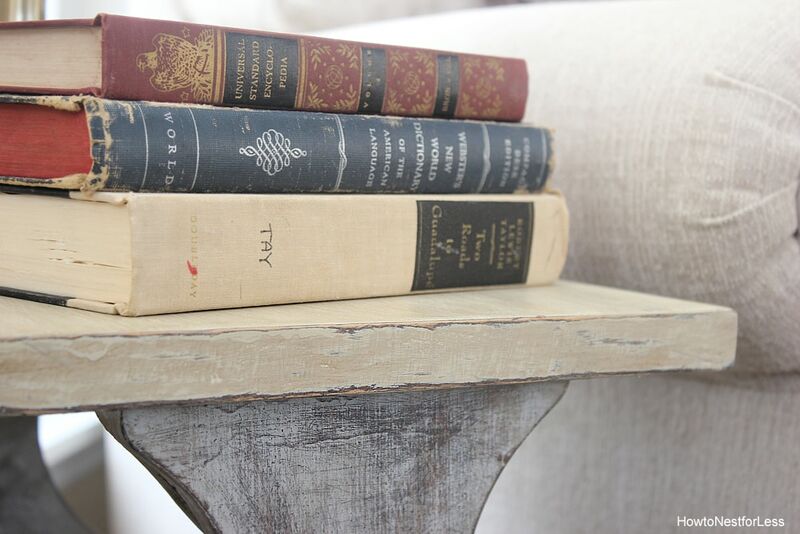 Once the table was fully painted and dry, I distressed using a light grade sandpaper, pretty hard in some areas for a deep aged look and feel. 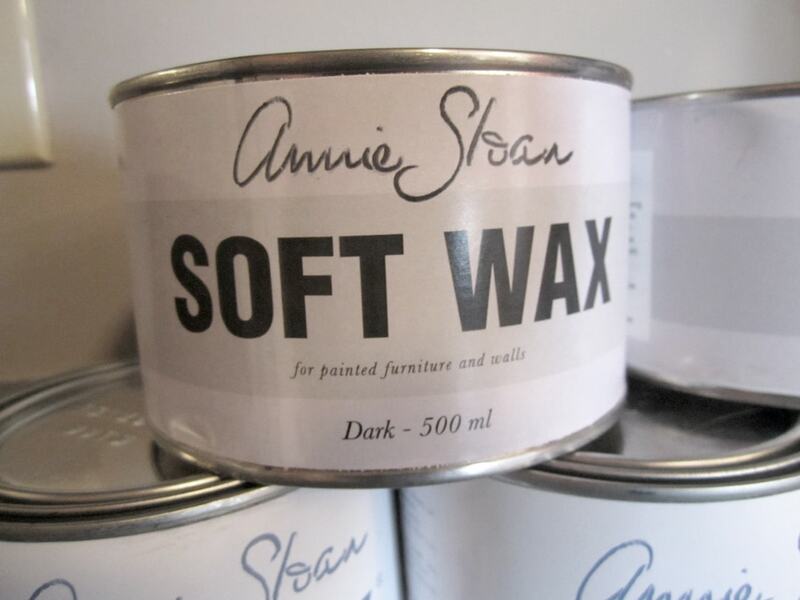 Next I used an old kitchen towel to apply Annie Sloan’s soft dark wax. You can apply this using a brush or cloth, but I opted for the cloth to really rub down deep in some areas. And here is the finished product! Below you can see the difference in the colors of chalk paint I used. Love the subtle difference of the two tones! I have to admit, I love this new paint! It’s so easy to work with and gives me tons of options in design. The only problem is the price. It’s about $35 for a quart, BUT the paint really does last a long time! 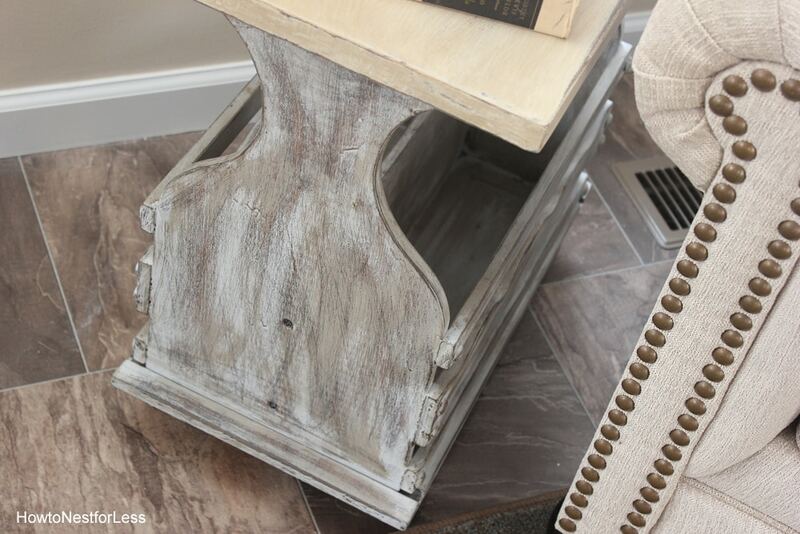 I painted this end table, a mirror and a baby cradle in the Paris Grey and still have over 3/4 of the quart left! I’m in the process of redesigning our extra bedroom into a play room/craft room. I think this new driftwood inspired table will fit perfectly with my new motif as a great accent piece to store design magazines to keep me inspired! This is very beautiful! I think I need some Annie Sloan paint for my next anniverary! Wow, it turned out perfect! Makes me wish I had room for more fun projects to try!! It looks great! I’m dying to try that paint–maybe I should ask for some for my birthday! Great idea. 😉 Does the wax make it non-chalkboard then? I’m still getting this down. The 2 toned look is perfect. Great job! I’d love for you to join my giveaway for 2 canvas pillows going on now! http://www.alittleknickknack.com. Happy 4th! What a wonderful gift, I got a Dremel and a scroll saw for Mothers Day this year, love the moe practical gifts! You did a wonderful job, the waxing makes a huge difference to the paint, looks great. that turned out beautifully! it does look just like driftwood! I love the heavy distressing and the color! 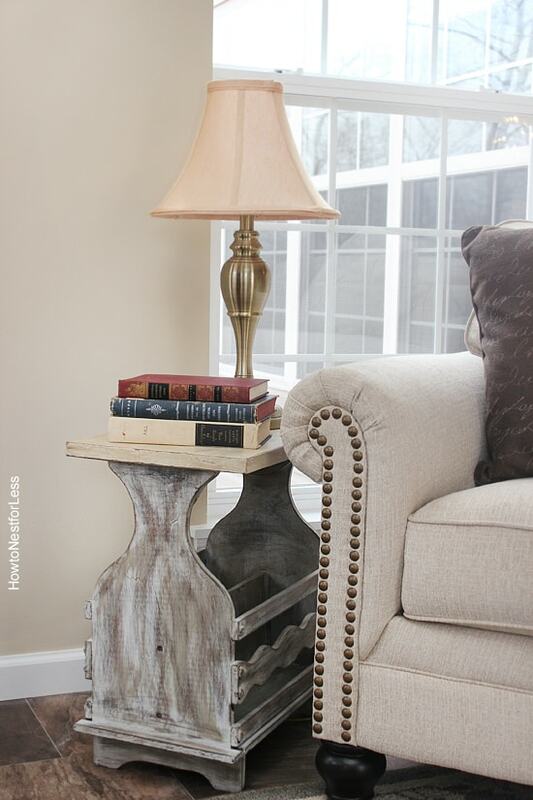 Such a cute table, it’s hard to believe that it is the same piece! I LOVE the table. I love that you used the two different colors and I love that you decided to stress it a great deal. It really does remind me of driftwood! I am getting ready to do my laundry room over in a beachy theme and I am going to remember this when I make shelves for in there. It will definitely give them an outdoor-worn look. Nice job and thanks for sharing! Looks awesome. So much fun to work with chalk paint. Thanks for joining my newbie party. Wow! That was your first time using chalk paint and you produced that?!?! Fantabulous job!! 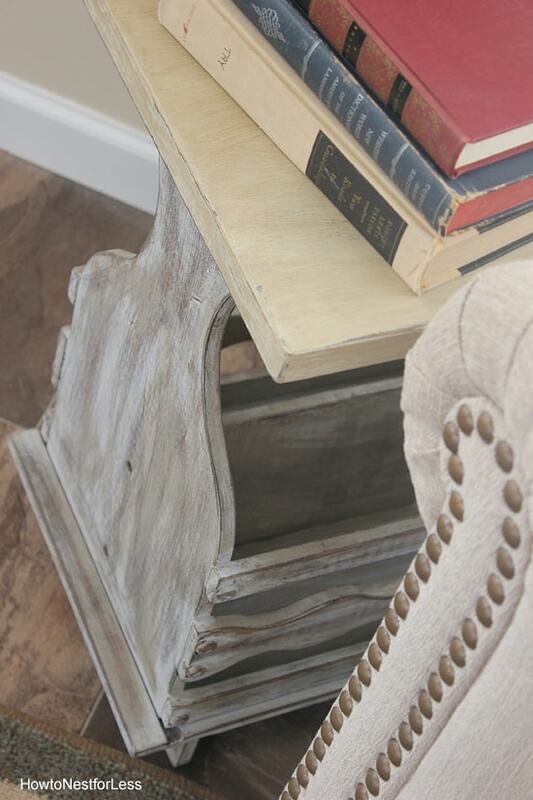 I have those colors- but i’ve never used them together- never even occured to me to use chalk paint to get the driftwood look! I’m impressed! Great work!! That turned out great! I would love it if you would link up to my Tuesday Confessional link party going on now: http://www.craftyconfessions.com/2011/07/tuesday-confessional-link-up-2.html. I hope to see you soon! Wow, love what you did. I still haven’t splurged on the chalk paint but I just might have to. I’m working on a blog series called ‘Old t New’ to showcase and feature things that people have transformed from looking old to new. Would love to feature this if that’s ok! Yes, a feature would be amazing!! I’m now following you on Facebook and LOVE your Etsy shop! Happy blogging! THe table is fabulous, such a great transformation! Hi saw you on link party, now google following you, please pop by, Karima x http://www.karimascrafts.com ps: i tried to go to your facebook page but your link didn’t seem to work for me. Love that piece – the two-toned look is so hot right now, and it looks amazing. thanks for the tips – now a follower! 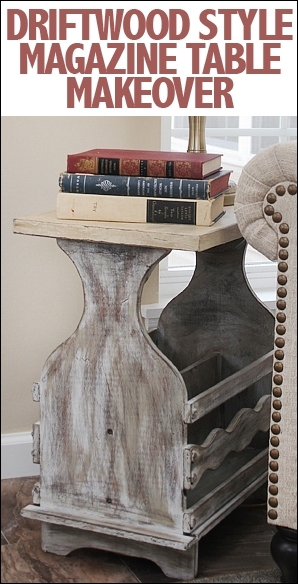 Visit my furniture makeover blog at https://www.whitestreetinteriors.com! My kitchen table is a soft wood and has really gotten beat up over the last 10 Years or so. I forgot to mention that i have 4 kiddos! 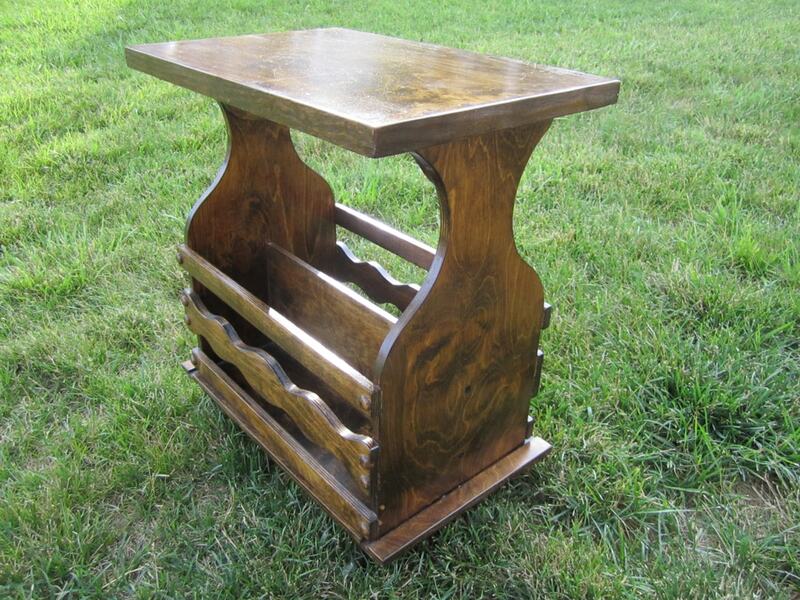 I want to refinish the top but not sure if chalk paint is the way to go or not. I would love to send you a photo to see what you think. I am live in Cottleville MO and ran across your business card in one of the local shops. Thanks! I was thinking of trying this technique on my dining room table but was wondering if the finish would be ok…taking into consideration multiple cleanings, perspiring drinks, dinner plates with hot food on it, and my two young daughters who are always doing art projects at the table??? Eek, I don’t know about that Heather. I haven’t had any problems with the paint chipping on this table, but it’s not used like a dining room table would be (I especially worry about the hot food with the wax coating). I know other people have used ASCP on tables before though so I know it IS possible! I just read the comment above mine. I live very close to Cottleville Mo, are you from around the area? I was wondering where you get the chalk paint and wax. I LOVE your blog!! Thanks so much Kristy! Yep, I live right around the corner from Cottleville!! I actually purchase my AS Chalk Paint from Wood Icing in Chesterfield Mall. It’s on the second floor next to Sears! The girls in there are fantastic and super helpful. Good luck to you! Wow, this turned out great! 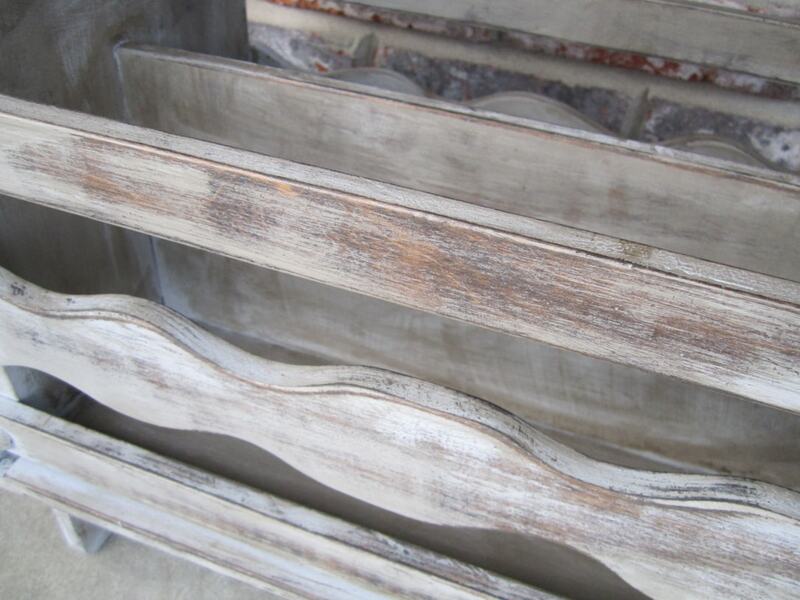 I really need to try chalk paint sometime!